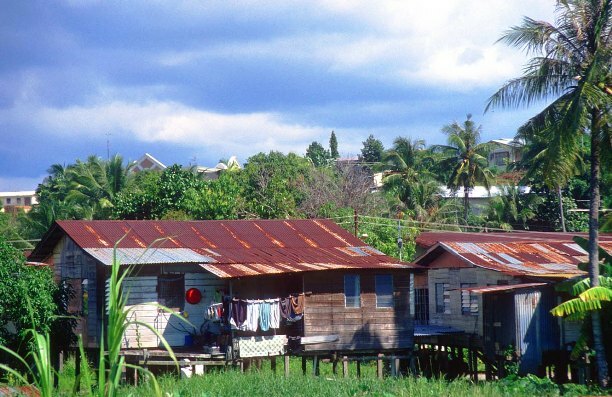 Located a stone’s throw away from Bandar Seri Begawan city, Tungku Lodge (See above) is a small rental shack, built in 2007 by locals, and designed especially for the use of hams. 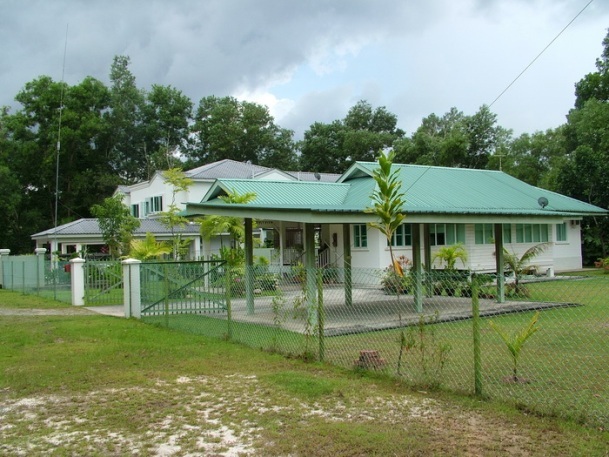 Said to accommodate 2-3 persons effortlessly, Tungku Lodge is an air-conditioned 1 bedroom bungalow with 2 single beds and a spacious living room with a television. 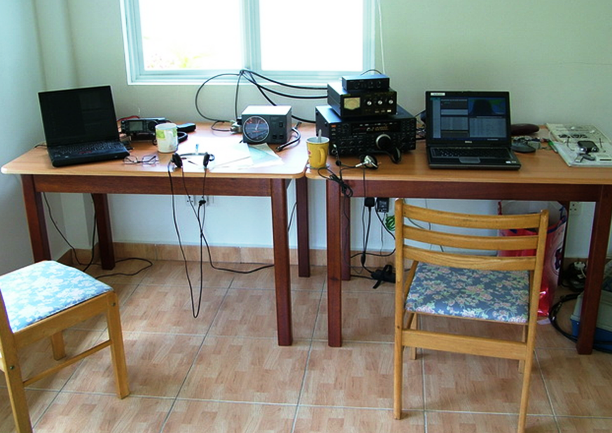 This room also contains 2 tables which house the transceivers and accessories (See below). 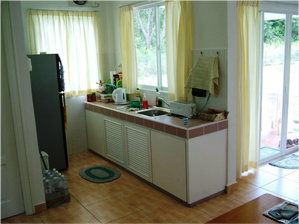 Fully furnished with a fridge, hot plate, coffee maker, toaster, kettle, cooking utensils and wireless Internet access, Tungku Lodge also includes a shower, well-equipped kitchenette and covered terrace. 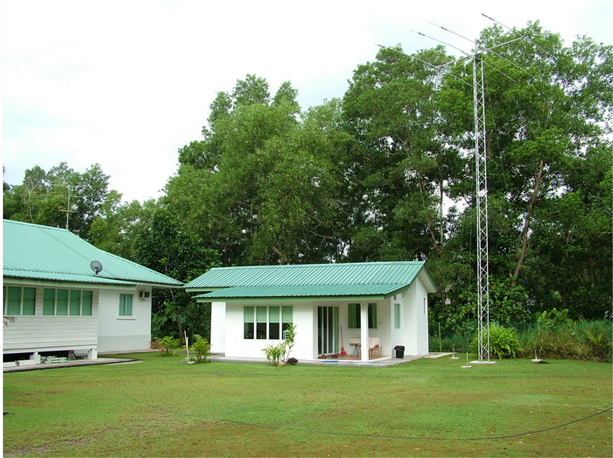 Surrounded by forest, the lodge has a large open garden in which stands a massive 40 foot tower and a number of world class antennas. For supplies, local supermarkets can be found 5 to 10 minutes away. Alternatively, all food supplies can be supplied by the owner. 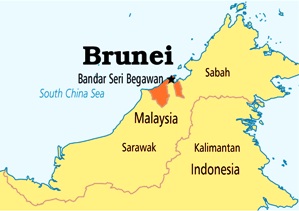 When not enjoying the radio there’s lots to see in Brunei including ‘Tamuai’ long boat rides through the Rain Forest, ‘Jungle Canopy Walks’ in Temburong, the famous ‘Water Villages’ tour and watching Proboscis monkeys. A day trip to the oil field in Seria as well as swimming at lovely beaches and admiring the scenic sunset while enjoying Dorchester High Tea at the 5 star Empire Hotel and Country Club overlooking South China Sea also comes highly recommended. 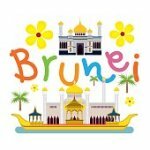 Visiting hams can also enjoy the local Brunei culture and hospitality, with nice local delicacies to sample. 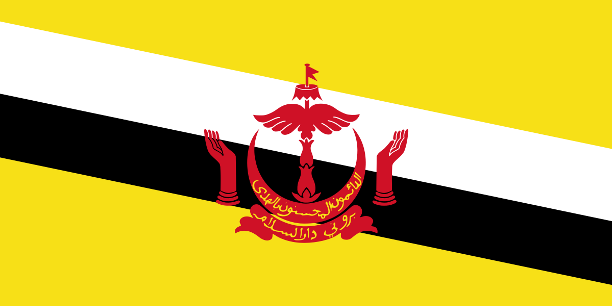 Other places to visit include Istana Nurul Iman palace, Sultan Sir Haji Omar Ali Saifuddien mosque, local museums, arts & handicraft centre and night markets. Temporary ham licences, at a cost of B$100, should be arranged at least 1 month in advance. 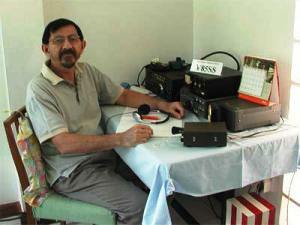 The call sign structure for visitors is V8Fxx. 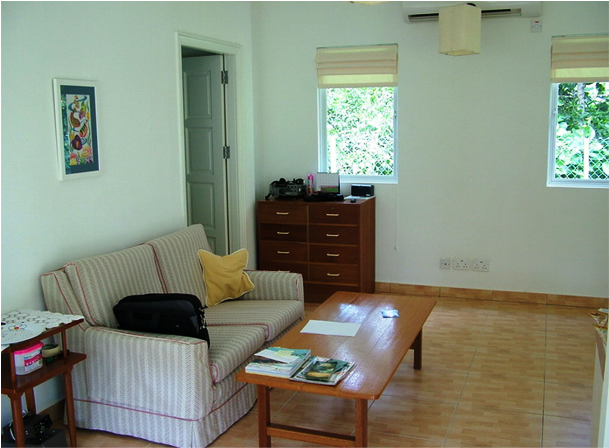 Rates: B$150 twin sharing per day, B$50 for an additional person. Free airport transfer and car rental are also available. 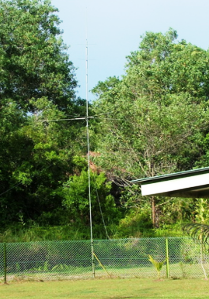 Station: 4 element Moseley TA-53-M beam antenna for 28, 24, 21, 18 and 14 MHz on a 40-foot tower, 2 verticals for all bands including WARC, full-wave dipole for top band, large open space for wires, JRC 245 transceiver and electronic keyer.